Museums Northumberland will be showcasing work by talented artists from across the North East as part of its new exhibition at Woodhorn Museum, Into the Woods, which opens on Saturday 16 February. 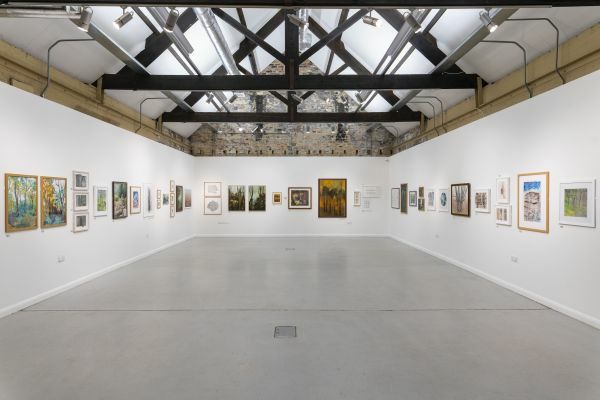 Following an open call that saw over 280 artworks submitted by 130 artists, artwork has now been selected for display in the new exhibition, which celebrates trees, woodlands and forests – past present and future. Into the Woods forms part of Woodhorn Museum’s Coal Forest season; a six-month programme that sees magical art installations transform the museum site. Accompanying the artworks is a changing events programme themed around the seasons. February 16 marks the beginning of Grow, a series of special events and exhibitions celebrating the arrival of Spring. As well as Into the Woods, Woodhorn Museum has programmed a series of nature and wildlife inspired walks and talks, and events for visitors of all ages. Into the Woods and the Coal Forest Grow season open on Saturday 16 February and run until Monday 22 April 2019. For more information visit www.museumsnorthumberland.org.uk. Entry to Woodhorn Museum is free for children aged 0-16 and £6.50/7 for adults. Concession tickets are priced at £6. All passes are valid for unlimited visits for 12 months from the date of issue.